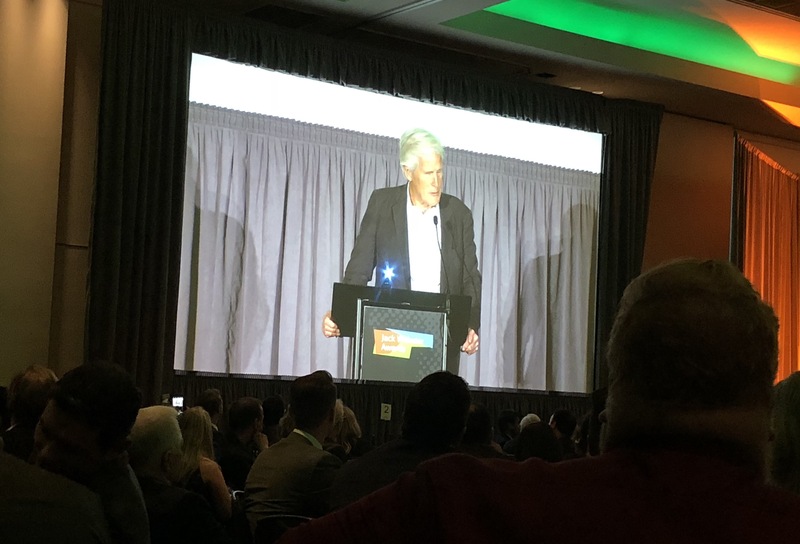 That’s how veteran Canadian-born broadcaster Keith Morrison assessed the state of journalism as he addressed the annual Jack Webster awards ceremonies Monday night in Vancouver. Morrison, who was once a regular on CTV’s old Canada A.M. morning show, hosts the NBC Dateline murder mystery series. He was the keynote speaker at the awards, speaking to 800 B.C. journalists, public relations reps and media business people. He said the attack on journalism began long before the Trump administration, and the public’s notion that the media are biased has grown over the years. Morrison, who spent much of his career as a reporter and news anchor, said he enjoys his work on murder-mystery TV, though he “had to be dragged into it.” It’s real journalism, where one story can take weeks or months to investigate and produce, he said. With newsrooms being cut back, that kind of journalism isn’t as common as it used to be, he said. “How do we do it for politics that isn’t a shouting match?” he wondered. Morrison said he likes to think that, 25 years from now, he’ll be speaking about the comeback of old-school investigative reporting. If you want real journalism to make a comback you must get the corporate owners to divest to one media outlet each.Your buisness has declined becuase of the “F”ing social media and the perception that real or imagined that owners concentrate the media outlets and then play favourite politics with the news stories..Editorialism is fine but corporate interferance is not. I surley want my morning newspaper back along with good journalism on the other media. But I don’t trust the traditional outlets anymore.I see so many stories from other “wildcat” media that are important but are not covered by the mainstream outlets. When David Suzuki,Naomi Klien,Maude Barlow and chief Iron eyes come to this town (Kamloops) within a single summer week and no media covers any of thier events, one has to think that orders have been given to “Forget ‘ to send any reporters.This kind of politics doesn’t make for trust in mediaIf you want to see good ,unbiased coverage you have to do it yourself.